When you bring family and friends together for your special day, it’s a singular point in time, where memories are made. Imagine having the rehearsal dinner, ceremony, the dinner, and after-party all in one location. Nobody has to drive, leave early or miss a single moment. Nestled in the heart of the White Mountains the Woodstock Inn Brewery resides at the intersection of two of America’s most scenic byways. Noted for our beautiful gardens, fabulous food, hand-crafted and custom labeled brews from our on-premise brewery. 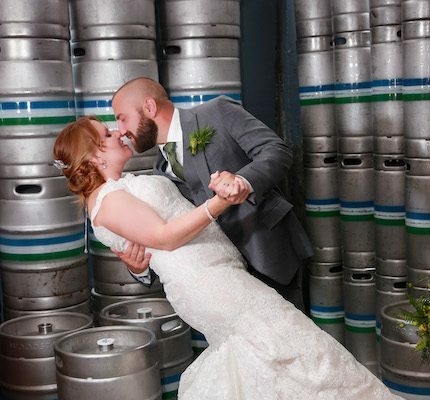 For generations, the Rice family, owners of the Woodstock Inn Brewery have hosted New England family style wedding receptions and wedding ceremonies, providing the brides, grooms and their guests a spectacular wedding experience. You deserve the very best, and the Woodstock Inn Brewery is proud to offer you that (and a little more)! For generations our family has hosted New England family style wedding receptions and wedding ceremonies. Nestled in the heart of the White Mountains at the intersection of two of America’s most scenic byways.